As UTEP faculty and staff, we are the strongest advocates of student success – united by continually witnessing the academic and professional achievements of our students. No one knows the strengths and needs of UTEP better than those who work here. 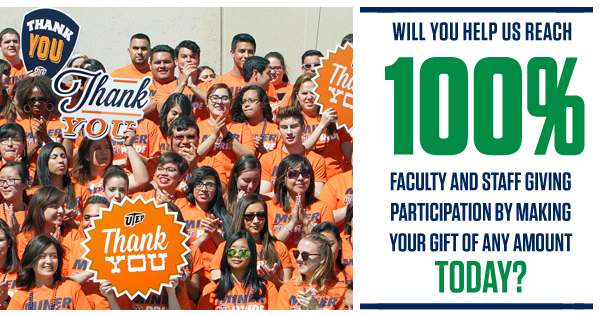 You can further contribute to student success by participating in the UTEP Faculty and Staff United for Student Success Campaign by making a gift to the funds below, or to the area that means the most to you. 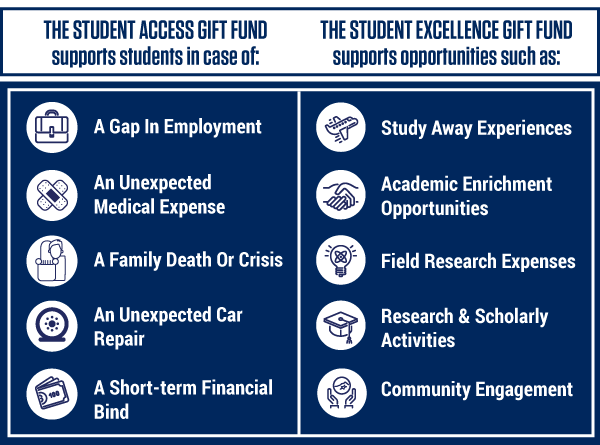 Together we can help even more students stay enrolled when they experience financial crisis or have the opportunity to take on academic enrichment opportunities. For more information, please contact Jennifer Heffner, Annual Giving Manager at 915-747-8574 or via email at jlheffner@utep.edu.